William Holden, British Columbia From the Earliest Times to the Present, Volume 4, Howay and Scholefield, Vancouver, S.J. Clarke Publishing Company, facing page 1164; https://archive.org/stream/britishcolumbiaf04schouoft#page/n1158/mode/1up. 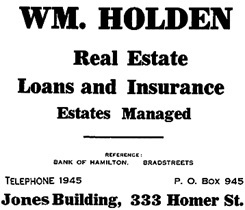 William Matthew Holden was a real estate agent and property developer. He lived at 1949 Barclay Street from 1908 to 1910. He was born in Stirling, Ontario, on February 7, 1872. His parents were Sylvester Holden (1845-1914) and Magdalene Trousdale (1844-1923). He spent his early life on his father’s farm, and went to school at the county grammar school. When he was 16, he started working as a buyer with W.E. Thompson’s produce commission house in Prescott, Ontario. In 1891, he moved to Manitoba, where he worked for the Singer Sewing Machine Company. In 1892, in Dungannon, Ontario, he married Cecelia Annetta (sometimes “Netta”) Van Kleek. She was born on September 9, 1872, in Madoc Township, Ontario. Her parents were John Van Kleek and Margaret Frederick. 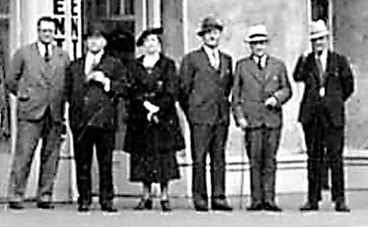 For some time the Holdens lived in Virden, Manitoba; later they lived in Regina, Saskatchewan for about two years. From 1895 to 1898, they were back in Stirling, Ontario, where William operated a general store. In 1898, they moved to Vancouver, where for seven years William was an insurance agent for the Federal Life Insurance Company of Canada. In 1900, they were living at 1363 Robson Street. From 1901 to 1907, they were at 966 Burrard Street. William also began to invest in real estate. In 1905, he went into business with William J. Cavanagh, dealing in real estate, loans and insurance. 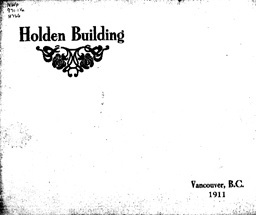 The offices of Cavanagh and Holden were at 333 Homer Street. The company was successful, and William went into business for himself. In 1908, the family moved to the house at 1949 Barclay Street. William had also acquired significant amounts of commercial real estate. 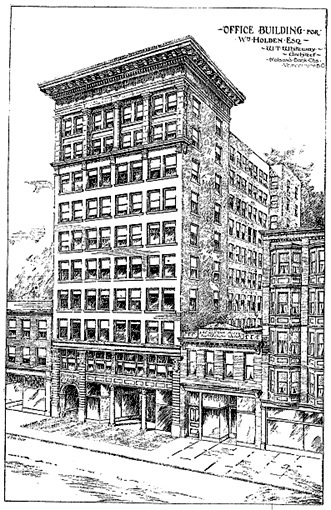 In 1909, he hired William Tinniswood Whiteway to design a 10-storey office building at 16 East Hastings Street. 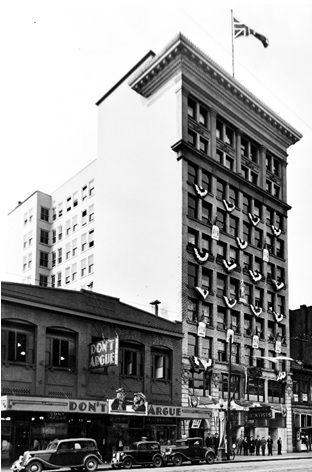 It was called the “Holden Building” until 1972. The City of Vancouver used the building as the City Hall from 1929 to 1936. From 1972 to 1988, the building was the “Century Tower.” Since 1988, it has been the Tellier Tower, and it is used for non-market housing. Office Building for Wm. Holden, Esq., Vancouver World, November 27, 1909, page 11. William also was involved in the purchase of land on False Creek for the Great Northern Railway. About 1910, William was preparing to move out of 1949 Barclay Street. In November 1910, George McCuaig advertised an auction of “high-class furniture.” About this time, William sued Cecelia for divorce. On September 2, 1911, in Vancouver, William married Lillian Eltham Sidebotham. 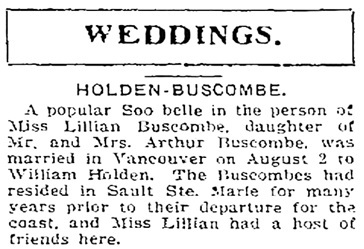 Lillian was a step-daughter of Henry Arthur Buscombe, who lived at 1929 Comox Street from 1910 to 1912. About 1912, Cecilia married Denis Hallren in Seattle, Washington. His full name was Dennis Florence O’Halloran, and he was born in Ireland on November 22, 1871 (or 1869). He had been married before, to Annie May Taylor (1870-1936). The earlier wedding took place in 1891 in Brookfield, Massachusetts. Mr. Hallren was later charged with sending threatening letters to William Holden, in relation to the divorce proceedings. The jury acquitted Mr. Hallren. He later unsuccessfully sued William for damages. On November 20, 1914, Mr. Hallren went to Granite Falls on the north arm of Burrard Inlet, where he shot himself. The coroner’s inquest concluded that his death was a suicide. From 1912 to 1914, William lived for a short time at Glencoe Lodge, and then at the Vancouver Hotel. 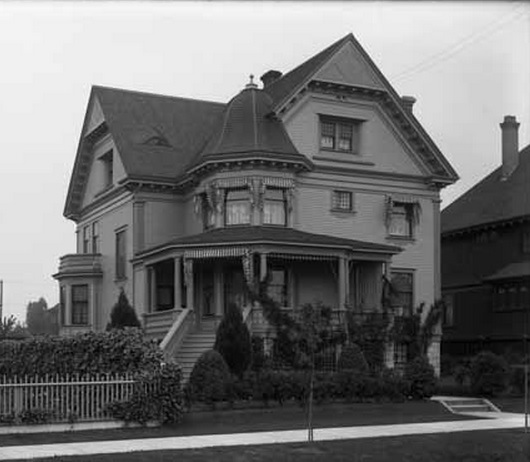 From 1915 to 1917, William was living in a house on 54th Avenue, probably at the corner of Hudson Street in Point Grey. In May 1916, William and Lillian went for a holiday trip to their ranch in the Cariboo area of British Columbia. For some time in 1918 and 1919, William and Lillian went to Wichita Falls, Texas, where William became interested in oil. By 1918, the Vancouver directories showed that William was living at the Vancouver Hotel. In 1919 and 1920, he was again at the house on 54th Avenue. Lillian died in Vancouver on April 23, 1923. She was buried in Mountain View Cemetery in Vancouver. Later in 1923, William sued Henry Arthur Buscombe to have him hand over his accounting records and to provide an accounting of the rents that William claimed were owing to him. William was also involved in legal proceedings over Lillian’s will. In 1911, Lillian had made a will that left all of her property to William. In 1920, Lillian made a new will that left most of her estate to her mother, Maria Eltham Buscombe, including the Pender Hotel at 618 West Pender Street. 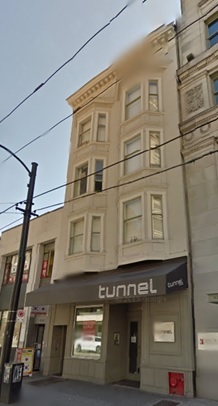 620 West Pender Street [former Pender Hotel], Google Streets, Searched November 27, 2014. The British Columbia Supreme Court confirmed that Henry Arthur Buscombe should be the executor and that Maria Eltham Buscombe should own the Pender Hotel, but there was also an order for an appeal. The British Columbia Court of Appeal allowed the appeal and concluded that Maria Eltham Buscombe held the Pender Hotel in trust for William Holden. The final value of the entire estate was about $80,000 for succession duty purposes. Throughout the 1920s and 1930s, William continued to have an interest in Vancouver real estate, although financial difficulties appeared for him from time to time. In September 1931, William moved into a suite at the Devonshire Hotel for the winter. In the 1940s, William’s daughter, Helen, arranged to pay William a significant amount of money so that he could keep control of the Holden Building. Helen acquired the money from her husband, Dr. Hugh Carlile Winbigler. The ownership of the building and the accounting for the money led to difficult relations between Helen and her husband and, ultimately, to a lawsuit between them. William died in Vancouver on June 1, 1947. He was buried in “The Abbey,” at Ocean View Burial Park in Burnaby, British Columbia. Cecelia Annetta Van Kleek Holden died in Vancouver on March 15, 1952. She was buried in Mountain View Cemetery in Vancouver. William and Cecilia had the following children. Mabel Annetta Holden was born about 1893 in the Northwest Territories (probably Regina, which was later the capital of Saskatchewan). She died in Vancouver on September 24, 1903. She was buried in Mountain View Cemetery in Vancouver. Helen Iowa Holden was born in Mason City, Iowa on September 9, 1895. She went to Havergal College in Toronto, Avenue. On May 7, 1924, in Los Angeles, California, she married Hugh Carlile Winbigler. He was born on December 23, 1898 in Shelby, Richland County, Ohio. His parents were Ross C. Winbigler and Minnie Myrtle Siebert. Hugh had been an ambulance driver during the First World War. Hugh and Helen went to live in Ohio. In 1929, Hugh graduated in medicine from Ohio State University. He established a medical practice in Mansfield, Ohio; Helen acted as his nurse. Hugh and Helen adopted a daughter who was sometimes called Helen and sometimes Wendy; she married Stuart Watts. In the 1940s, Helen arranged to pay William a significant amount of money so that he could keep control of the Holden Building. She got the money from Hugh’s savings. When William Holden died in 1947, Hugh and Helen moved to Vancouver. Helen took over the Holden Building. In 1949, Hugh acquired a licence to practice medicine in British Columbia. Helen had apparently concluded that Hugh was not entitled to any money or any other interest relating to the building; Hugh and Helen eventually ended up in a lawsuit. The court found in favour of Hugh. Their marriage came to an end. Helen died in Vancouver on May 18, 1964. She was buried in the Abbey in Ocean View Burial Park in Burnaby, British Columbia. Hugh died in Vancouver on November 2, 1973. He was buried in Ocean View Burial Park in Burnaby. William Melville Van Kleek Holden was born in Stirling, Ontario, on March 9, 1897. He went to school at Bishop Ridley’s College in St. Catharines, Ontario. He enlisted with the Canadian Expeditionary Force during the First World War. In 1927, he applied to become a naturalized United States citizen. In 1930, he was living in San Francisco, California, along with his wife, Frances, and their five children, who ranged in age from one to six years. In 1940, he was living in San Francisco. He was working as a lawyer. He died in San Francisco on July 3, 1947. Ethna Holden was born in Stirling, Ontario on September 10, 1898. It appears that she died shortly afterward. She was buried in Stirling Cemetery in Stirling, Ontario. Marion Bernice Holden was born on December 30, 1899, in Vancouver. On November 10, 1920, in Vancouver, she married Clarence Wilfred Mcnutt. He was born on December 8, 1894, in Tay Creek, New Brunswick. His parents were William Mcnutt and Amanda Armstrong. He had enlisted in the Canadian Expeditionary Force during the First World War. By 1930, Clarence and Marion were living in Los Angeles, California. In the late 1930s, both Clarence and Marion became naturalized United States citizens. In 1940, they were living in El Cerrito, California. Clarence died in California on June 6, 1972. Marion died in California on June 30, 1983. Evelyn Louise Holden was born in British Columbia, probably in Vancouver, on October 26, 1902. Evelyn died in Vancouver on March 15, 1924. She was buried in Mountain View Cemetery in Vancouver. William Wilfred Holden was born in Canada, probably in Vancouver, on February 1907. By 1940, he was living in San Mateo, California, with his wife, Meredith Clemens Holden. She was born in Nebraska on September 3, 1908. Her father’s surname was Foster; her mother’s surname was Clemens. William Wilfred Holden died in San Mateo, California, on December 14, 1989. Meredith died in San Mateo, California, on September 6, 1991. “Canada Census, 1851,” index, FamilySearch (https://familysearch.org/pal:/MM9.1.1/MWT7-WJW : accessed 24 Nov 2014), Sylverster Holden, Huntingdon, Hastings County, Canada West (Ontario), Canada; citing p. 95, line 10; Library and Archives Canada film number C_11727, Public Archives, Ontario; http://data2.collectionscanada.gc.ca/1851_pdf/e095/e002353011.pdf. “Ontario Census, 1861,” index, FamilySearch (https://familysearch.org/pal:/MM9.1.1/MQQK-DJN : accessed 24 Nov 2014), Sylvester Holden, Huntingdon, Hastings, Ontario, Canada; citing p. , line ; Library and Archives Canada film number , Public Archives, Toronto; FHL microfilm; http://data2.collectionscanada.gc.ca/1861/pdf/4108078_00016.pdf. “Canada Census, 1871,” index, FamilySearch (https://familysearch.org/pal:/MM9.1.1/M4QF-3MR : accessed 24 Nov 2014), Silvester Holden, Huntingdon, North Hastings, Ontario, Canada; citing p. 3, line 9; Library and Archives Canada film number C-9994, Public Archives, Ottawa, Ontario; FHL microfilm 4396350; http://data2.collectionscanada.ca/1871/pdf/4396350_00011.pdf. “Canada Census, 1881,” index, FamilySearch (https://familysearch.org/pal:/MM9.1.1/MVXL-RLS : accessed 24 Nov 2014), Sylvester Holden, Rawdon, Hastings North, Ontario, Canada; citing p. 5; Library and Archives Canada film number C-13238, Library and Archives Canada, Ottawa, Ontario; FHL microfilm 1375874; http://data2.collectionscanada.gc.ca/1891/pdf/30953_148145-00410.pdf. “Canada Census, 1891,” index, FamilySearch (https://familysearch.org/pal:/MM9.1.1/MWLQ-TPX : accessed 24 Nov 2014), Sylvester Holden, Rawdon, Hastings North, Ontario, Canada; Public Archives, Ottawa, Ontario; Library and Archives Canada film number 30953_148145; http://data2.collectionscanada.gc.ca/1891/pdf/30953_148145-00410.pdf. “Ontario Deaths, 1869-1937 and Overseas Deaths, 1939-1947,” index, FamilySearch (https://familysearch.org/pal:/MM9.1.1/JNQD-85Q : accessed 24 Nov 2014), Sylvester Holden, 23 May 1914; citing Stirling, Hastings, Ontario, yr 1914 cn 15520, Archives of Ontario, Toronto; FHL microfilm 1861974. “Ontario Deaths, 1869-1937 and Overseas Deaths, 1939-1947,” index, FamilySearch (https://familysearch.org/pal:/MM9.1.1/JD62-LP8 : accessed 24 Nov 2014), Magdalene Holden, 13 Feb 1923; citing Stirling, Hastings, Ontario, cn 17091, Archives of Ontario, Toronto; FHL microfilm 1976688. “William Holden: What the West Has Done for William Holden; What William Holden Has Done for the West,” Vancouver Province, Land of Opportunity Number, September 21, 1907, page 15. “Auction of High-Class Furniture at 1949 Barclay St. on Friday Next, 11th inst.,” Vancouver World, November 8, 1910, page 10; Vancouver World, November 10, 1910, page 8. British Columbia From the Earliest Times to the Present, Volume 4, Howay and Scholefield, Vancouver, S.J. Clarke Publishing Company, pages 1164-1165; https://archive.org/stream/britishcolumbiaf04schouoft#page/1164/mode/1up; https://archive.org/stream/britishcolumbiaf04schouoft#page/n1158/mode/1up; https://archive.org/stream/britishcolumbiaf04schouoft#page/1165/mode/1up. “Ontario Births, 1869-1912”, index, FamilySearch (https://familysearch.org/pal:/MM9.1.1/FMZX-3GQ : accessed 24 Nov 2014), William Mathew Holden, 1872. “Canada, Births and Baptisms, 1661-1959,” index, FamilySearch (https://familysearch.org/pal:/MM9.1.1/F2VM-KXX : accessed 24 Nov 2014), William Mathew Holden, 07 Feb 1872; citing Huntingdon Township, Hastings, Ontario, 07 Feb 1872, reference cn 501096; FHL microfilm 1870458. “Canada Census, 1881,” index, FamilySearch (https://familysearch.org/pal:/MM9.1.1/MVXL-RL7 : accessed 24 Nov 2014), William Holden in household of Sylvester Holden, Rawdon, Hastings North, Ontario, Canada; citing p. 5; Library and Archives Canada film number C-13238, Library and Archives Canada, Ottawa, Ontario; FHL microfilm 1375874. “Ontario Marriages, 1869-1927,” index, FamilySearch (https://familysearch.org/pal:/MM9.1.1/FMVG-8XJ : accessed 24 Nov 2014), William Holden and Annette Van Kleek, 16 Nov 1892; citing registration 004970, Dungannon, Hastings, Ontario, Canada, Archives of Ontario, Toronto; FHL microfilm 1870471. “Threatened Death by Violent Means, Testified Witness: Trial of Denis Hallren, Co-respondent in Former Divorce Case, Still Continues,” Vancouver Sun, May 9, 1912, page 5. “Found Not Guilty of Sending Threat to William Holden: Denis Hallren Acquitted by Jury After Short Deliberation. Verdict Unanimous: Dramatic Incidents Throughout Trial: Mr. J.E. Bird, Counsel for Defence, Gives Powerful Summary of Facts in Address,” Vancouver Sun, May 10, 1912, page 1. “Ex-Wife Wins Libel Suit: Millionaire Holden Must Pay for Statement Given Paper,” Portland Oregonian, March 15, 1913, page 4, http://oregonnews.uoregon.edu/lccn/sn83025138/1913-03-15/ed-1/seq-4/. “British Columbia Marriage Registrations, 1859-1932,” index and images, FamilySearch (https://familysearch.org/pal:/MM9.1.1/JDDQ-87V : accessed 24 Nov 2014), William Holden and Lilian Eltham Sidebotham, 02 Aug 1911; citing Vancouver, British Columbia, Canada, British Columbia Archives film number B11375, Vital Statistics Agency, Victoria; FHL microfilm 1983703. “The False Creek Bylaw,” William Holden, letter to the editor, Vancouver Province, February 25, 1913, page 4. Hallren v. Holden (1913), 20 Dominion Law Reports, pages336-341; 18 British Columbia Reports, pages 210-216; http://www.library.ubc.ca/archives/pdfs/bcreports/018.pdf (British Columbia Court of Appeal). “British Columbia Death Registrations, 1872-1986,” index and images, FamilySearch (https://familysearch.org/pal:/MM9.1.1/FLRG-243 : accessed 25 Nov 2014), William Mathew Holden, 01 Jun 1947; citing Vancouver, British Columbia, Canada; British Columbia Archives film number B13194, Division of Vital Statistics, Victoria; FHL microfilm 2032478. “W.M. Holden Rites Tuesday, Vancouver Province, June 9, 1947, page 5; “Rt. Rev. Sir Francis Heathcote, Bart., Bishop of New Westminster, will conduct funeral services for William Matthew Holden, 75, pioneer Vancouver builder and realtor, in Center & Hanna’s Chapel at 1:30 p.m. Tuesday. Pallbearers will be Dr. Hugh C. Winbigler, Col. John Wise, Dr. J.A. Tolmie, Stanley V. Smith, Andrew Deans and Thomas Ainsworth. Entombment will be in The Abbey, Mountain View Cemetery [sic: should be Ocean View Burial Park]. “Ontario Births, 1869-1912”, index, FamilySearch (https://familysearch.org/pal:/MM9.1.1/FMZ5-5HV : accessed 25 Nov 2014), Cecelia Annetta Van Kleeck, 1872. “Ontario, Births and Baptisms, 1779-1899,” index, FamilySearch (https://familysearch.org/pal:/MM9.1.1/XLP8-12T : accessed 25 Nov 2014), Cecelia Annetta Van Kleeck, 09 Sep 1872; citing Ontario, Canada; FHL microfilm 1871358. “Canada, Births and Baptisms, 1661-1959,” index, FamilySearch (https://familysearch.org/pal:/MM9.1.1/F245-BLZ : accessed 25 Nov 2014), Cecelia Annetta Van Kleeck, 09 Sep 1872; citing Ontario, Canada, 09 Sep 1872, reference cn 901771; FHL microfilm 1871358. “British Columbia Death Registrations, 1872-1986,” index and images, FamilySearch (https://familysearch.org/pal:/MM9.1.1/FLRH-768 : accessed 25 Nov 2014), Cecilia Annetta Van Kleek Holden, 15 Mar 1952; citing Vancouver, British Columbia, Canada; British Columbia Archives film number B13211, Division of Vital Statistics, Victoria; FHL microfilm 2032860. “Find A Grave Index,” index, FamilySearch (https://familysearch.org/pal:/MM9.1.1/QVK9-PMDK : accessed 25 Nov 2014), Cecilia A V Holden, 1952; Burial, Vancouver, Greater Vancouver Regional District, British Columbia, Canada, Mountain View Cemetery; citing record ID 35289327, Find a Grave, http://www.findagrave.com. Cecilia Annetta Van Kleek Holden, death notice, Vancouver Province, March 17, 1952, page 22; Vancouver Province, March 18, 1952, page 19; Vancouver Sun, March 17, 1952, page 21; Vancouver Sun, March 18, 1952, page 17: “Holden – Passed away in Vancouver March 15, 1952, Cecilia Annetta Van Kleek Holden, late residence 1536 West 14th Ave. Survived by 2 daughters, Helen Holden, manageress of Holden Building, Marion McNutt, California; 8 grandchildren, 2 great-grandchildren. Funeral service Wednesday, March 19, at 1 p.m. from the Chapel of Chimes, Harron Bros. Ltd., 10th Ave. and Ontario St., Rev. J.G. Gorwill and Rev. C.H. Wilcox officiating. Interment Mountain View Cemetery. Dennis F. Halloran – of IRE, NY, MA, Chicago & more, http://boards.ancestry.ca/surnames.halloran/2.3.49/mb.ashx. “Massachusetts, Marriages, 1841-1915,” index and images, FamilySearch (https://familysearch.org/pal:/MM9.1.1/N4H6-C3P : accessed 27 Nov 2014), Dennis F. O’Halloran and Annie M. Turner, 29 Jun 1891; citing vol 417 p363 cn17, Brookfield, Massachusetts, State Archives, Boston; FHL microfilm 1651232. “Massachusetts, Births, 1841-1915,” index and images, FamilySearch (https://familysearch.org/pal:/MM9.1.1/FXXZ-B5P : accessed 27 Nov 2014), Dennis F. Halloran in entry for Marion Halloran, 06 Jan 1896; citing Springfield, Hampden, Massachusetts, v 457 p 753, Massachusetts Archives, Boston; FHL microfilm 1843692. “Massachusetts, Births, 1841-1915,” index and images, FamilySearch (https://familysearch.org/pal:/MM9.1.1/FXXN-N48 : accessed 27 Nov 2014), Dennis F. Halloran in entry for James Leslie Halloran, 08 Oct 1897; citing Springfield, Massachusetts, P 799 E 1022, Massachusetts Archives, Boston; FHL microfilm 1843698. “New England Petitions for Naturalization Index, 1791-1906,” index and images, FamilySearch (https://familysearch.org/pal:/MM9.1.1/VXRM-MXG : accessed 27 Nov 2014), Dennis Florence Halloran, 1902; citing Massachusetts, NARA microfilm publication M1299, roll 76, NARA microfilm publication M1299, National Archives and Records Administration, Washington D.C.; FHL microfilm 1429746. “British Columbia Death Registrations, 1872-1986,” index and images, FamilySearch (https://familysearch.org/pal:/MM9.1.1/FLK9-G47 : accessed 27 Nov 2014), Dennis Florence O’Hallaran, 20 Nov 1914; citing Granite Falls, British Columbia, Canada; British Columbia Archives film number B13101, Division of Vital Statistics, Victoria; FHL microfilm 1927129. “Illinois Deaths and Stillbirths, 1916-1947,” index, FamilySearch (https://familysearch.org/pal:/MM9.1.1/N3WG-BSH : accessed 27 Nov 2014), Dennis F. Halloran in entry for Anna May Halloran, 30 Apr 1936; Public Board of Health, Archives, Springfield; FHL microfilm 1926960. “Recensement du Canada de 1911″, index, FamilySearch (https://familysearch.org/pal:/MM9.1.1/QV95-MGF1 : accessed 19 Nov 2014), Lillian Eltham Buscombe in entry for Henry Arthur Buscombe, 1911. “British Columbia Death Registrations, 1872-1986,” index and images, FamilySearch (https://familysearch.org/pal:/MM9.1.1/FLKJ-TV6 : accessed 25 Nov 2014), Lillian Elthan Holden, 25 Apr 1923; citing Vancouver, British Columbia, Canada; British Columbia Archives film number B13122, Division of Vital Statistics, Victoria; FHL microfilm 1927299. “Find A Grave Index”, index, FamilySearch (https://familysearch.org/pal:/MM9.1.1/QVV5-3G9Y : accessed 19 Nov 2014), Lillian Eltham Holden, 1923. Buscombe v. Holden, (1924) 33 British Columbia Reports (British Columbia Supreme Court), page 431-439; reversed by Buscombe v. Holden, (1924) 34 British Columbia Reports (British Columbia Court of Appeal), pages 289-311. “H.A. Buscombe Confirmed as Executor – Appeal Ordered,” Vancouver World, February 22, 1924, page 1. “British Columbia Death Registrations, 1872-1986,” index and images, FamilySearch (https://familysearch.org/pal:/MM9.1.1/FLRG-243 : accessed 19 Nov 2014), William Mathew Holden, 01 Jun 1947; citing Vancouver, British Columbia, Canada; British Columbia Archives film number B13194, Division of Vital Statistics, Victoria; FHL microfilm 2032478. “British Columbia Death Registrations, 1872-1986,” index and images, FamilySearch (https://familysearch.org/pal:/MM9.1.1/FLVB-PMZ : accessed 25 Nov 2014), Mable A Holden, 24 Sep 1903; citing Vancouver, British Columbia, Canada; British Columbia Archives film number B13094, Division of Vital Statistics, Victoria; FHL microfilm 1927122. “Find A Grave Index,” index, FamilySearch (https://familysearch.org/pal:/MM9.1.1/QVV5-3G9B : accessed 25 Nov 2014), Mabel A. Holden, 1903; Burial, Vancouver, Greater Vancouver Regional District, British Columbia, Canada, Mountain View Cemetery; citing record ID 26279942, Find a Grave, http://www.findagrave.com. “British Columbia Death Registrations, 1872-1986,” index and images, FamilySearch (https://familysearch.org/pal:/MM9.1.1/FLVB-PM8 : accessed 25 Nov 2014), Mable A Holden, 24 Sep 1903; citing Vancouver, British Columbia, Canada; British Columbia Archives film number B13094, Division of Vital Statistics, Victoria; FHL microfilm 1927122. “Ohio, County Births, 1841-2003,” index and images, FamilySearch (https://familysearch.org/pal:/MM9.1.1/X6CF-RX8 : accessed 26 Nov 2014), Hugh Carlisle Winbigler, 23 Dec 1898; citing Birth, Shelby, Richland, Ohio, reference v 8 p 5 N 4325 aof, county courthouses, Ohio; FHL microfilm 541348. “Ohio, County Births, 1841-2003,” index and images, FamilySearch (https://familysearch.org/pal:/MM9.1.1/X6FS-F9K : accessed 26 Nov 2014), Hugh Carlisle Winbigler, 23 Dec 1898; citing Birth, Shelby, Richland, Ohio, reference v 8 p 5, county courthouses, Ohio; FHL microfilm 541329. “United States Census, 1900,” index and images, FamilySearch (https://familysearch.org/pal:/MM9.1.1/MM6R-FQZ : accessed 26 Nov 2014), Hugh C Winbigler in household of Ross C Winbigler, Sharon Township, Precinct B Shelby village, Richland, Ohio, United States; citing sheet 6B, family 143, NARA microfilm publication T623, National Archives and Records Administration, Washington, D.C.; FHL microfilm 1241317. “United States Census, 1910,” index and images, FamilySearch (https://familysearch.org/pal:/MM9.1.1/ML6D-B1F : accessed 26 Nov 2014), Hugh Winbigler in household of Ross Winbigler, Sharon, Richland, Ohio, United States; citing enumeration district (ED) 201, sheet 2B, family 49, NARA microfilm publication T624, National Archives and Records Administration, Washington, D.C.; FHL microfilm 1375237. “United States Census, 1920,” index and images, FamilySearch (https://familysearch.org/pal:/MM9.1.1/M6MM-ZLH : accessed 26 Nov 2014), Hugh C Winbiglor in household of Ross C Winbiglor, Sharon, Richland, Ohio, United States; citing sheet 7A, family 152, NARA microfilm publication T625, National Archives and Records Administration, Washington D.C.; FHL microfilm 1821430. “California, County Marriages, 1850-1952,” index and images, FamilySearch (https://familysearch.org/pal:/MM9.1.1/K8NW-YKY : accessed 26 Nov 2014), Hugh Carlile Winbigler and Helen Iowa Holden, 07 May 1924; citing Los Angeles, California, United States, county courthouses, California; FHL microfilm 2074450. “United States Census, 1940,” index and images, FamilySearch (https://familysearch.org/pal:/MM9.1.1/KWL8-LKV : accessed 26 Nov 2014), Helen J Winbegler in household of Hugh C Winbegler, Ward 3, Mansfield City, Madison Township, Richland, Ohio, United States; citing enumeration district (ED) 70-31, sheet 8A, family 241, NARA digital publication of T627, roll 3135, NARA digital publication of T627, National Archives and Records Administration, Washington, D.C.
“Holden Bldg. Ownership at Stake in Suit,” Vancouver Sun, March 26, 1953, page 35: “A Supreme Court suit involving ownership of the Holden Building, which was Vancouver’s city hall for several years, is being tried by Mr. Justice Macfarlane. Mrs. Helen Holden Winbigler is in court on an ambulance cot with nursing attendants to defend the action brought against her by her estranged husband, Dr. Hugh C. Winbigler, 1312 Acadia, for a half-interest in the property at 16 East Hastings. She is a daughter of the late William Holden and present owner of the block her father erected. A.E. Branca, QC, A.L.P. Hunter and J.K. Macey are presenting the claim of Dr. Winbigler that he advanced $84, 650 between 1944 and 1947 to save the block from foreclosure and make it rentable. In return, he alleges he was to get title to the property jointly with his wife but that she obtained a conveyance to herself. H.R. Bray, QC, and Marshall Bray are defending the action for Mrs. Winbigler, who contends the money was a gift from the doctor. 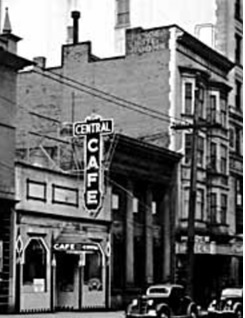 “Husband Wins Half-Interest in Downtown Office Building,” Vancouver Sun, July 27, 1953, page 19, http://news.google.com/newspapers?id=vTxlAAAAIBAJ&sjid=rIkNAAAAIBAJ&pg=4875%2C4469276. Winbigler v. Winbigler, (1953), 10 Western Weekly Reports (New Series), pages 131-138 (British Columbia Supreme Court). “British Columbia Death Registrations, 1872-1986,” index and images, FamilySearch (https://familysearch.org/pal:/MM9.1.1/FLTK-398 : accessed 25 Nov 2014), Helen Winbigler, 18 May 1964; citing Vancouver, British Columbia, Canada; British Columbia Archives film number B13267, Division of Vital Statistics, Victoria; FHL microfilm 2033690. Holden Building Future Brightens, Vancouver Sun, May 9, 1969, page 27. British Columbia Death Registrations; Registration Number 1973-09-015548; Hugh Carlile Winbigler; place of death: Vancouver; date of death: November 2, 1973. “Ontario Births, 1869-1912”, index, FamilySearch (https://familysearch.org/pal:/MM9.1.1/FM8D-BVC : accessed 25 Nov 2014), Wm. Melville Vankleek Holdon, 1897. “Canada, Births and Baptisms, 1661-1959,” index, FamilySearch (https://familysearch.org/pal:/MM9.1.1/F25J-BJD : accessed 25 Nov 2014), Wm. Melville Vankleek Holdon, 09 Mar 1897; citing Stirling, Hastings, Ontario, 09 Mar 1897, reference 323; FHL microfilm 1906132. “California, Northern U.S. District Court Naturalization Index, 1852-1989,” index and images, FamilySearch (https://familysearch.org/pal:/MM9.1.1/K8ZM-HL5 : accessed 25 Nov 2014), William Melville Holden, 1927; citing NARA microfilm publication M1744, National Archives and Records Administration, Pacific Sierra Region, San Bruno; FHL microfilm. “California, Northern U.S. District Court Naturalization Index, 1852-1989,” index and images, FamilySearch (https://familysearch.org/pal:/MM9.1.1/K8ZM-HLR : accessed 25 Nov 2014), William Melville Holden, 1927; citing NARA microfilm publication M1744, National Archives and Records Administration, Pacific Sierra Region, San Bruno; FHL microfilm . “United States Census, 1930,” index and images, FamilySearch (https://familysearch.org/pal:/MM9.1.1/XCDJ-KPC : accessed 25 Nov 2014), William M Holden, San Francisco (Districts 1-250), San Francisco, California, United States; citing enumeration district (ED) 0106, sheet 2A, family 16, line 6, film number 198, NARA microfilm publication T626, (Washington D.C.: National Archives and Records Administration, 2002); FHL microfilm 2339933. “California, Northern U.S. District Court Naturalization Index, 1852-1989,” index and images, FamilySearch (https://familysearch.org/pal:/MM9.1.1/K8ZM-HLL : accessed 25 Nov 2014), Ruth Frances Holden, 1935; citing NARA microfilm publication M1744, National Archives and Records Administration, Pacific Sierra Region, San Bruno; FHL microfilm . “California, Northern U.S. District Court Naturalization Index, 1852-1989,” index and images, FamilySearch (https://familysearch.org/pal:/MM9.1.1/K8ZM-H2R : accessed 25 Nov 2014), Frances Ruth Or Ruth Frances Holden, 1936; citing NARA microfilm publication M1744, National Archives and Records Administration, Pacific Sierra Region, San Bruno; FHL microfilm . “United States Census, 1940,” index and images, FamilySearch (https://familysearch.org/pal:/MM9.1.1/K9D9-SJ2 : accessed 25 Nov 2014), W Melville Holden, Assembly District 25, San Francisco, San Francisco City, San Francisco, California, United States; citing enumeration district (ED) 38-398, sheet 9B, family 227, NARA digital publication of T627, roll 313, NARA digital publication of T627, National Archives and Records Administration, Washington, D.C.
“California, Death Index, 1940-1997,” index, FamilySearch (https://familysearch.org/pal:/MM9.1.1/VPZK-CL1 : accessed 25 Nov 2014), William Melville Holden, 03 Jul 1947; Department of Public Health Services, Sacramento. William Holden, Obituary (The Sacramento Bee); Jan. 23, 2012, Holden, William ‘Bill’ Melville Accomplished writer and author, passed away at his Fair Oaks home on January 4, 2012 at the age of 88. . . .”; http://www.legacy.com/obituaries/sacbee/obituary-preview.aspx?n=william-melville-holden-bill&pid=155570259&referrer=106. William Melville Holden, http://findgrave.org/william-holden-california-963191/; Dixon, California; Sacramento Valley National Cemetery, 5810 Midway Road, Dixon, CA 95620; Section 13, Site 1193, Birth: Apr 25 1923; Death: Jan 4 2012; Age: 88. Branch: US ARMY AIR FORCES; Rank: PFC; War: WORLD WAR II. “Canada, Births and Baptisms, 1661-1959,” index, FamilySearch (https://familysearch.org/pal:/MM9.1.1/F25Y-9VW : accessed 25 Nov 2014), Ethua Holden, 10 Sep 1898; citing Stirling, Hastings, Ontario, 10 Sep 1898, reference 181; FHL microfilm 1928124. Ancestry.ca: Ethna Holden: Born on Monday, October 10, 1898 in Hastings, Ontario. Ontario Cemetery Finding Aid: http://ocfa.islandnet.com/ocfa-search.php: HOLDEN, Ethna (infant daughter of William & Annette); Cemetery: Stirling; County: Hastings; Township: Rawdon; Reference:QU-H-1187. British Columbia Birth Registrations, Registration Number: 1899-09-598238, Marion Bernice Holden; http://search-collections.royalbcmuseum.bc.ca/Genealogy/DisplayGenealogyImage?k=698fd746-f053-4409-892b-d6b79f9675d4; date of birth: December 30, 1899; place of birth: Vancouver. “Canada Passenger Lists, 1881-1922,” index and images, FamilySearch (https://familysearch.org/pal:/MM9.1.1/2QS6-KSS : accessed 25 Nov 2014), Marion Bernice Holden, Sep 1910; citing Immigration, New York, New York, United States, T-4700, Library and Archives Canada, Ottawa, Ontario. 1911 Census of Canada, British Columbia, Vancouver, 53 South Vancouver, page 43, family 502, lines 11-20; http://automatedgenealogy.com/census11/View.jsp?id=63017&highlight=15&desc=1911+Census+of+Canada+page+containing+Clarence+W.+McNutt. “British Columbia Marriage Registrations, 1859-1932,” index and images, FamilySearch (https://familysearch.org/pal:/MM9.1.1/JDZB-JY2 : accessed 24 Nov 2014), Clarence Wilfred Mcnutt and Marion Bernice Holden, 10 Nov 1920; citing Vancouver, British Columbia, Canada, British Columbia Archives film number B12905, Vital Statistics Agency, Victoria; FHL microfilm 2032874. “United States Census, 1930,” index and images, FamilySearch (https://familysearch.org/pal:/MM9.1.1/XC86-K72 : accessed 25 Nov 2014), Marion B Mcnutt in household of Clarence W Mcnutt, Los Angeles (Districts 0751-0795), Los Angeles, California, United States; citing enumeration district (ED) 0772, sheet 4A, family 70, line 3, film number 165, NARA microfilm publication T626, (Washington D.C.: National Archives and Records Administration, 2002); FHL microfilm 2339900. “California, Northern U.S. District Court Naturalization Index, 1852-1989,” index and images, FamilySearch (https://familysearch.org/pal:/MM9.1.1/K8ZW-DTH : accessed 25 Nov 2014), Clarence Wilfred Mcnutt, 1937; citing NARA microfilm publication M1744, National Archives and Records Administration, Pacific Sierra Region, San Bruno; FHL microfilm . 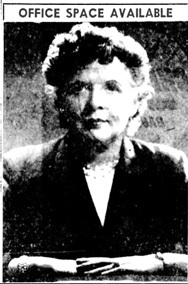 “California, Northern U.S. District Court Naturalization Index, 1852-1989,” index and images, FamilySearch (https://familysearch.org/pal:/MM9.1.1/K8ZW-DT6 : accessed 25 Nov 2014), Marion Bernice Mcnutt, 1938; citing NARA microfilm publication M1744, National Archives and Records Administration, Pacific Sierra Region, San Bruno; FHL microfilm . “United States Census, 1940,” index and images, FamilySearch (https://familysearch.org/pal:/MM9.1.1/K9Q8-SWN : accessed 25 Nov 2014), Marion Mcnutt in household of Clarence Mcnutt, Tract CCC-12, El Cerrito, Judicial Township 7, Contra Costa, California, United States; citing enumeration district (ED) 7-36, sheet 5B, family 117, NARA digital publication of T627, roll 196, NARA digital publication of T627, National Archives and Records Administration, Washington, D.C.
“California, Death Index, 1940-1997,” index, FamilySearch (https://familysearch.org/pal:/MM9.1.1/VPHN-DXW : accessed 25 Nov 2014), Clarence W Mcnutt, 06 Jun 1972; Department of Public Health Services, Sacramento. “California, Death Index, 1940-1997,” index, FamilySearch (https://familysearch.org/pal:/MM9.1.1/VPC5-WMV : accessed 25 Nov 2014), Marion B Mcnutt, 30 Jun 1983; Department of Public Health Services, Sacramento. “United States Social Security Death Index,” index, FamilySearch (https://familysearch.org/pal:/MM9.1.1/V95Y-444 : accessed 25 Nov 2014), Marion Mcnutt, Jun 1983; citing U.S. Social Security Administration, Death Master File, database (Alexandria, Virginia: National Technical Information Service, ongoing). “British Columbia Death Registrations, 1872-1986,” index and images, FamilySearch (https://familysearch.org/pal:/MM9.1.1/FLG3-Q6N : accessed 25 Nov 2014), Evelyn Louise Fingard, 15 Mar 1924; citing Vancouver, British Columbia, Canada; British Columbia Archives film number B13124, Division of Vital Statistics, Victoria; FHL microfilm 1927301. “Find A Grave Index,” index, FamilySearch (https://familysearch.org/pal:/MM9.1.1/QVV5-3CS7 : accessed 26 Nov 2014), Evelyn Louis Fingard, 1924; Burial, Vancouver, Greater Vancouver Regional District, British Columbia, Canada, Mountain View Cemetery; citing record ID 26279944, Find a Grave, http://www.findagrave.com. “United States Census, 1940,” index and images, FamilySearch (https://familysearch.org/pal:/MM9.1.1/K9DK-4TP : accessed 25 Nov 2014), William W Holden, San Mateo, Judicial Township 2, San Mateo, California, United States; citing enumeration district (ED) 41-45, sheet 4A, family 68, NARA digital publication of T627, roll 330, NARA digital publication of T627, National Archives and Records Administration, Washington, D.C.
“United States Public Records, 1970-2009,” database, FamilySearch (https://familysearch.org/pal:/MM9.1.1/QJFW-8LLV : accessed 25 Nov 2014), William W Holden, Residence, San Mateo, California, United States; a third party aggregator of publicly available information. “California, Death Index, 1940-1997,” index, FamilySearch (https://familysearch.org/pal:/MM9.1.1/VPVW-NBY : accessed 25 Nov 2014), William W Holden, 14 Dec 1989; Department of Public Health Services, Sacramento. “United States Public Records, 1970-2009,” database, FamilySearch (https://familysearch.org/pal:/MM9.1.1/K1SL-G81 : accessed 25 Nov 2014), William W Holden, Residence, San Mateo, California, United States; a third party aggregator of publicly available information. “United States Public Records, 1970-2009,” database, FamilySearch (https://familysearch.org/pal:/MM9.1.1/K1SL-G8Y : accessed 25 Nov 2014), Meredith C Holden, Residence, San Mateo, California, United States; a third party aggregator of publicly available information. “United States Public Records, 1970-2009,” database, FamilySearch (https://familysearch.org/pal:/MM9.1.1/K1SG-KDN : accessed 25 Nov 2014), Meredith C Holden, Residence, San Mateo, California, United States; a third party aggregator of publicly available information. “California, Death Index, 1940-1997,” index, FamilySearch (https://familysearch.org/pal:/MM9.1.1/VP92-QH7 : accessed 25 Nov 2014), Meredith Clemens Holden, 06 Sep 1991; Department of Public Health Services, Sacramento.